Preface. What is a Biblical prophet? Do Biblical prophets stilll exist today? This article seeks to examine that question and answer it from a Biblical and historical point of view. Is there a terminus for New Testament prophets? Will the gift of prophecy ever resume? Is there a possibility I am wrong? On August 24, 2011, C. Peter Wagner issued a defense of the New Apostolic Reformation (NAR), a term he admitted having coined himself. This defense appeared as an opinion piece by Wagner in CharismaNews.com. It was entitled, "The New Apostolic Reformation Is Not a Cult." He noted that "certain liberal media opponents of ... conservative candidates" have linked certain conservative politicians with NAR in an attempt to discredit them as being caught up in a "cult." The conservative politicians he mentioned included Sarah Palin, Michelle Bachman, and Rick Perry. In fact, his statement was a reaction to a negative article about the movement summarizing an interview of Rachel Tabachnick by Terry Gross on "Fresh Air," produced by National Public Radio (NPR). The summary article, entitled, "The Evangelicals Engaged in Spiritual Warfare," appeared online on August 19, 2011. Apparently NPR was trying to influence the outcome of the election. In fairness to the article (I have not listened to the broadcast), it never once used the word "cult." The article did claim that NAR is outside the pale of typical evangelical Christianity. In the interest of making a full disclosure, we should note that Tabachnick is a contributor to Talk to Action: Reclaiming Citizenship History and Faith, a left-of-center website. The office of prophet. Prophets are prominent in the Bible, both in the Old Testament and in the New Testament. As we just saw above, apostles are first and prophets are second. Every apostle needs alignment with prophets and every prophet needs apostolic alignment. One of the reasons why both should be active in our churches today is that the Bible says, “Surely God does nothing unless He reveals His secret to His servants the prophets” (Amos 3:7). And also: “Believe in the Lord your God and you shall be established; believe His prophets and you shall prosper” (2 Chronicles 20:20). I want to prosper and I want you to prosper. In the previous article in this series, I sought to ask and answer the question, "Do Apostles Exist Today?". In the present article I seek to examine the claim of Wagner that Biblical prophets exist today. I will return to the Biblical justification Wagner has given above. But first, let us define some terms. A prophet is someone who receives messages directly from God and communicates them to people. He is to be distinguished from a teacher in the New Testament, who receives his messages indirectly from the Bible and communicates them to people. 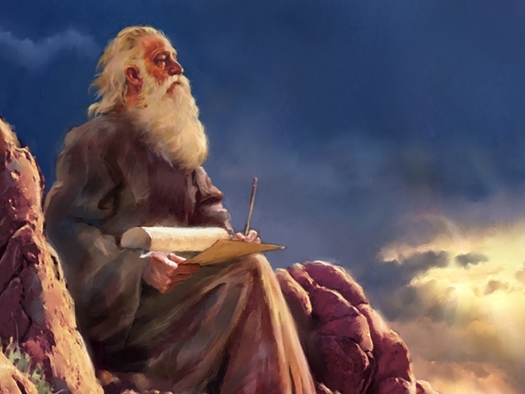 Prophets in the Old Testament include both non-writing prophets, such as Elijah and Elisha, and writing prophets, such as Moses, Samuel, David, Jeremiah, Isaiah, Jeremiah, Daniel, and Ezekiel. There are certain phrases that often characterize a prophet’s writings. Frequently we read, “The word of the LORD came to” the prophet (1 Kings 18:1; Isa. 38:4; Jer. 1:1-4; Ezek. 1:3; Jonah 1:1; Hag. 1:1), or “Thus says the LORD” (Ex. 4:22; Josh. 24:2; 2 Sam. 12:7; Isa. 37:6; Jer. 2:1-2; Ezek. 2:1-4; Amos 1:1-3). In the New Testament, there were prophets such as Agabus (Acts 11:27-28; 21:10-11). The evangelist Philip had four virgin daughters who were prophetesses (Acts 21:8-9). Men like Matthew, John, Paul, and Peter were apostles of Christ as well as prophets (Eph. 2:20), and each of them wrote documents that are part of the New Testament. Luke wrote his gospel and his history under the tutelage of the Apostle Paul. Mark was associated with the Apostle Peter. Jesus, of course, is a prophet as well as a priest and a king. Some mistakenly believe that being able to predict the future is the distinguishing characteristic of a prophet. That is not really true. What makes a prophet a prophet is that he speaks on behalf of God messages which he receives directly from God. Much of what OT prophets said was railing against the sins of Israel. On the other hand, prophets frequently did predict the future because God wanted to communicate future events to readers of the Bible. But there was also a sign value to predictions. A prophet who could accurately predict something in the future could be validated as a genuine prophet of God (Isa. 7:10-17, cf. Matt. 1:18-23; Micah 5:2, cf. Matt. 2:4-6). It is worth noting that NT apostles were also prophets. The Greek syntax Paul used in writing Eph. 2:20 indicates that apostles were also identifiable as prophets. The apostles/prophets were the foundation on which Jesus built His Church. Of course, Jesus Himself was the chief cornerstone of that foundation. It is accurate to say that all apostles were also prophets. It is not accurate to say that all prophets were also apostles. In some instances apostles/prophets wrote documents that God incorporated as part of the NT canon of Scripture. Obviously, not everything that every apostle/prophet said or wrote has been incorporated into Scripture. Teachers, as opposed to prophets, expound on prophecies given by prophets. In other words, teachers receive messages from God indirectly through prophets who have written Scripture. Prophets have zero margin for error. There can be no mistakes or inaccuracies in a Biblical prophet. To err in a statement or a prediction is to invalidate oneself as a prophet and be liable to be put to death (Deut. 18:20-22). Prophets have a sacred trust to convey accurately the words God has spoken. No Biblical prophet has ever spoken as an act of his own will. These holy men were moved by the Spirit of God and spoke from God (2 Pet. 1:20-21). Nabi. What words are used in the original languages to designate prophets? Let us first examine the Old Testament. One word is the noun nabi (5030), used 317 times in the Hebrew text. In the NASB, the vast majority of the instances are translated by the noun "prophet" or "prophets," once by the English noun "prophecy," and once by the English verb "prophesy." The Brown-Driver-Briggs Lexicon (BDB) identifies the basic meaning of this noun as "spokesman, speaker, prophet." I might add that a prophet is one who speaks on behalf of another. Typically, a nabi is someone who is authorized to speak on behalf of God. Occasionally, however, it refers to a false prophet. The context must determine whether the author had in mind a true or a false prophet. Let us look at some examples of how nabi is used in the Hebrew Bible. The first occurrence of nabi in the OT is instructive. We don't think of Abraham as being a prophet. But he was. God so termed him that in Gen. 20:7. Abraham was a prophet because God spoke directly with him on numerous occasions (Gen. 12:1-3; 13:14-17; 15:1-21; 17:1-22; 18:1-33; 21:12-13; 22:1-2, 15-18). His primary mission in life was to trust God, obey God, and live in the land God had given to him (Gen. 13:14-17). But there are clear indications that God expected Abraham to pass on the Divine revelation to others. For example, God commanded Abraham to be a blessing, informing him that He would bless all the families of the earth through him (Gen. 12:2-3). Undoubtedly God expected Abraham to inform his descendants and his slaves of the significance of the sign of circumcision which they were required to observe in their own bodies (Gen. 17:9-14). God informed Abraham He had chosen him so he would command his sons and his household after him to keep the way of the LORD in righteousness and justice (Gen. 18:19). All these presume that Abraham would pass on to others revelation he had received from God. The only occurrence of nabi in Exodus is fascinating. God told Moses He would make him as God to Pharaoh, and Aaron would serve as Moses' prophet, or spokesman (Ex. 7:1). Moses was a prophet par excellence. To most prophets, God spoke in a vision or dream. But God spoke to Moses face to face (lit., mouth to mouth) (Num. 12:6-8). Moses predicted another great Israeli prophet like himself who would faithfully proclaim all God commanded him. To disregard this prophet would be fatal. I believe that Jesus of Nazareth is the prophet whom God had in mind (Deut. 18:15-19). A prophet who presumed to speak on behalf of God words which God had not commanded him to speak was to be put to death (Deut. 18:20). The people would know if a prophet were truly from God if what he predicted came to pass. If it did not come to pass, the prophet had spoken presumptuously, and the people no longer had to fear him (Deut. 18:21-22). For this reason, along with others, people should grant no credence to what a man like Harold Camping teaches. No OT writer used the word nabi more often than Jeremiah. He used it some 85 times. After recording his own call to be prophet (Jer. 1:5), he frequently used nabi to refer to false, deceitful, or greedy prophets (Jer. 2:8; 5:13, 31; 6:13; 8:10; 14:13-15; 23:11, 13, 14, 15, 16, 21, 25, 26, 30, 31; 26:8, 11; 27:9, 14, 15, 16; 28:15-17; 37:19). Ezekiel also referred to false prophets (Ezek. 13:2-4, 9, 16; 22:25, 28). Nebiah. There are a handful of references in the OT to prophetess (nebiah, 5031), the feminine of nebi (5030). Miriam was a prophetess (Ex. 15:20). So also were Deborah (Judges 4:4) and Huldah (2 Kings 22:14; 2 Chron. 34:22). Noadiah was evidently a false prophetess (Neh. 6:14). Apparently Isaiah's wife was a prophetess (Isa. 8:3), though little else is said about her. Roeh. In 1 Sam. 9:9, we learn that he who is now called a prophet was formerly called a seer (roeh, 7203). Presumably this noun described the prophet as a seer of visions. This word was used infrequently (1 Sam. 9:9, 11, 18-19; 2 Sam. 15:27; 1 Chron. 9:22, 28-29; 2 Chron. 16:7, 10; Isa. 28:10.) In Isa. 28:7 it refers to visions. Prophêtês. In the original language of the NT, a prophet (prophêtês, 4396) is one who receives revelation directly from God and passes it on to others. According to the Friberg Analytical Lexicon of the New Testament (Friberg), the prefix pro may mean either that the prophet spoke "in front of" or "before" his audience; or it may mean he spoke his message "prior to" or "beforehand" -- referring to the predictive element of prophecy. According to Friberg, the context must determine the sense of the prefixed preposition. The spoken message of a prophet is prophecy (prophêteia, 4394) (Rom. 12:6). The act of prophesying is the verb prophêteuō (4395). Let us first examine the noun prophet (prophêtês, 4396). The word prophêtês is used 144 times in the Greek New Testament (UBS 4). Matthew used the word 37X, more than any other gospel author. He was concerned to show that what happened to Jesus was a fulfillment of Scripture written by the OT prophets (Matt. 2:17; 3:3; 12:39; 24:15). Matthew also referred to Jesus (Matt. 21:11) and to John the Baptist (Matt. 21:26) as a prophet. Furthermore, Matthew used the word to refer to a division of the Hebrew Bible known as "the Prophets" (Matt. 22:40). Luke the physician, however, used prophêtês more than any other author -- 28X in Luke and 30X in Acts. In his writings, he used the word much as did Matthew. But in his history, Luke referred to contemporary, NT prophets active in the early church. Some of these he mentioned by name (Acts 11:27; 13:1; 15:32; 21:10). Paul used the word more sparingly. In Romans he referred only to the OT prophets (Rom. 1:2; 3:21; 11:3). In 1 Corinthians he spoke only of contemporary, NT prophets (1 Cor. 12:28, 29; 14:29, 32, 37). In 1 Cor. 12:28 he identified the relative importance of prophets. In 1 Cor. 12:29 he addressed the limited distribution of prophets in the Church. In 1 Cor. 14:29 he passed limits on how many prophets could speak in a church service, instructing the non-speaking prophets to "pass judgment" on the speaking prophets. In 1 Cor. 14:32 he decried the ecstatic uncontrolled use of the gift. In 1 Cor. 14:37 he exhorted those who were prophets to acknowledge his own Christ-given authority and submit to his regulations. In Eph. 2:20 and Eph. 3:5 Paul linked the apostles with the prophets as being the foundation of the Church being built (the organism, not any building). As I previously stated, all apostles were also prophets, but not all prophets were apostles. In these two verses Paul seems to be referring to the apostles, who were also prophets. In Eph. 4:11 Paul distinguished between apostles and prophets and evangelists. By his syntax he linked together those who were pastors-and-teachers. In 1 Thess. 2:15 he referred to OT prophets of Israel. In Titus 1:12 he linked a non-Biblical, Cretan "prophet" with the false teachers confronting the church in Crete. The writer to the Hebrews spoke of OT prophets (Heb. 1:1; 11:32). James evidently spoke of the much-maligned OT prophets (James 5:10). Peter spoke of OT prophets (1 Pet. 1:10), of the "mad," evil prophet Balaam (2 Pet. 2:15-16), and of the "holy" OT prophets (2 Pet. 3:2). John, in the Book of Revelation, referred to OT prophets (Rev. 10:7); to Jesus' two witnesses (Rev. 11:3), also designated prophets (Rev. 11:10); to all God's prophets down through the ages (Rev. 11:18); to prophets who will proclaim and be murdered during the Tribulation (Rev. 16:6); apparently to prophets who have been murdered during the Church age, but particularly, once again, during the Tribulation (Rev. 18:20, 24); to genuine prophets still active in his day (Rev. 22:6, 9), among whom he, John, was included (Rev. 22:7, 9). Prophêtis. There are only two references in the NT to female prophets (prophêtis, 4398). Anna was a prophetess (Luke 2:36), and a woman named Jezebel was a self-identified (false) prophetess (Rev. 2:20). Prophêteuō. The verb "to prophesy" (prophêteuō, 4395) is used but 28X in the NT, and sparingly in the gospels. Jesus spoke of the corporate witness on God's behalf of the prophets, the Law, and John the Baptist (Matt. 11:13). Jesus said that Isaiah prophesied of the hypocritical scribes and Pharisees (Matt. 15:7; Mark 7:6) and that Zacharias prophesied (Luke 1:67). Mockers asked Jesus to prophesy (Matt. 26:68; Mark 14:65; Luke 22:64). They were challenging the blind-folded Jesus to identify who it was that had hit Him. Of course he could have done so, but that was not the Father's will. Caiaphas, the high priest, unwittingly prophesied that Jesus should die for the sins of the nation (John 11:51). In Acts, the disciples of John the Baptist who converted to Christianity under the ministry of Paul began to speak in tongues and to prophesy (Acts 19:6). Philip the evangelist had four virgin daughters who were prophesying (Acts 21:9). Paul uses the verb in his letter of 1 Corinthians more often (11X) than in any other book. Every man praying or prophesying with his head covered disgraces or dishonors his spiritual head (1 Cor. 11:4), the Messiah (1 Cor. 11:3). Every woman praying or prophesying with her head uncovered disgraces or dishonors her spiritual head, (1 Cor. 11:5) her husband (1 Cor. 11:3). Paul testified that what he and other prophets were prophesying was based on partial, incomplete revelation (1 Cor. 13:9). Paul commanded the Corinthians to be pursuing love; he urged them to be pursuing spiritual gifts, but he placed a preference on their being able to be prophesying (1 Cor. 14:1). He prioritized prophesying because no one could understand speaking in tongues (languages), whereas one prophesying was speaking to men for upbuilding and exhortation and comfort (1 Cor. 14:3). The one speaking "in tongue" (language) is building up himself; whereas the one prophesying builds up the church (1 Cor. 14:4). Paul was wishing them all to speak with tongue with tongues (languages), but he wished rather that they would be prophesying (1 Cor. 14:5). Greater is the one prophesying than the one with tongues (languages), unless the tongue (language) could be translated, in order that the church might receive building up (1 Cor. 14:5). Paul was concerned that, if the whole church assembled and all were speaking in tongues (languages), and the uninitiated or unbelievers entered, the latter would conclude the church people were being insane (1 Cor. 14:23). But on the other hand, if all were prophesying, and a certain one who was an unbeliever or uninitiated were to enter, the latter would be convicted by all, he would be held accountable by all (1 Cor. 14:24). The prophets were all to prophesy one at a time so that all could learn and be exhorted (1 Cor. 14:31). Only two or three prophets could prophesy during a particular church service (1 Cor. 14:29). There was no reason why a prophet could not restrain himself as a point of order in the church service (1 Cor. 14:32), because God doesn't want church services filled with chaos, but rather, peace. (For a negative example, view this video.) Paul concluded this section of his letter to the Corinthians with the following summary: "Wherefore, brothers, be zealous to be prophesying, and do not be hindering the speaking in tongues (languages)" (1 Cor. 14:39, author's translation). In other passages, Peter spoke of OT prophets prophesying (1 Pet. 1:10), Jude spoke of Enoch's having prophesied (Jude 1:14). John was told he must prophesy again (Rev. 10:11). Undoubtedly this meant, "predict the future." Finally, it was told to John that the two "witnesses" will prophesy for 1260 days during the Tribulation (Rev. 11:3). Their message will probably consist primarily of speaking, on behalf of God, judgment upon the rebels of earth, along with invitations to repent and trust in Jesus Christ. However, their message may also include predictions. Time will tell. Prophêtêia. Prophecy utter by prophets is prophêtêia (4394). This noun appears 19X in the Greek NT. Jesus spoke of the fulfillment of the prophecy of Isaiah (Matt. 13:14). Paul spoke of the spiritual gift of prophecy (Rom. 12:6; 1 Cor. 12:10; 13:2, 8; 14:6, 22). Paul warned the Thessalonians not to despise prophecies (1 Thess. 5:20) (the word "utterances," found in the NASB, does not exist in the Grk. text). Paul reminded Timothy of the prophecies that had been made concerning him (1 Tim. 1:18). We are not told what they were, but Paul used them to motivate Timothy to "fight the good fight." Paul also exhorted Timothy not to neglect the spiritual gift within him, which had been bestowed on him through prophecy (again, the word "utterance" does not appear in the Grk. text) "with the laying on of hands by the presbytery" (1 Tim. 4:14). Peter wrote that "no prophecy of Scripture is a matter of one's own interpretation" (2 Pet. 1:20), "for no prophecy was ever made by an act of human will, but men moved by the Holy Spirit spoke from God" (2 Pet. 1:21). Of course, Peter was speaking of God-appointed, not man-appointed prophets. The entire book of Revelation is termed a prophecy (Rev. 1:3). A relatively small segment of the book consisted of information and exhortation in real time, but the great bulk was predictive. I grow weary of Bible teachers who belittle the predictive element of Biblical prophecy. They claim that every predictive prophecy was given to affect present behavior. While there is an element of truth there, there is also the truth that God wants us to know certain things that will happen in the future so we can know how to respond. After all, Jesus instructed John to "write the things which you have seen, and the things which are, and the things which will take place after these things" (Rev. 1:19). If the third time element is not a prediction of the future, I do not know what it is. Knowing what the future holds instructs us how to live in the present. Both elements are true. Rev. 11:6 speaks of the days of the prophecies (not prophesying) of the two witnesses. An angel told John, "...the testimony of Jesus is the spirit of prophecy" (Rev. 19:10). In Rev. 22:7 Jesus said He was coming quickly. He blessed those who heeded the words of this prophecy (i.e., the Book of Revelation). John was instructed not to "seal up the words of the prophecy of this book, for the time is near" (Rev. 22:10). Everyone who hears the words of the prophecy of the Book of Revelation is warned. He who adds to the words of the book will have the plagues described in the book added to him (Rev. 22:18). "[A]nd if anyone takes away from the words of the book of this prophecy, God will take away his part from the tree of life and from the holy city, which are written in this book" (Rev. 22:19). Pseudoprophêtês. We would be remiss in this whole discussion if we did not even consider the existence of false prophets (pseudoprophêtês, 5578). This word occurs eleven times in the Greek NT. Jesus warned listeners in His day about false prophets (Matt. 7:15). False prophets will exist throughout the Church Age, but will intensify during the Tribulation period (Matt. 24:11). These false prophets will succeed in deceiving many people. In the last half of the Tribulation period (see Matt. 24:21), false messiahs (pseudochristos, 5580) and false prophets (pseudoprophêtês, 5578) will arise, and will perform great signs and wonders (Matt. 24:24; Mark 13:22). The intent of these false messiahs and false prophets with their convincing miracles will be to lead astray, if it were possible, even the chosen ones! Jesus warned his listeners to be careful when everyone spoke well of them, for that is the way their fathers used to treat the false prophets (Luke 6:26)! Saul, Barnabas, and John encountered a Jewish false prophet who was a "magician" variously named Bar-Jesus and Elymas (Acts 13:6). He was attempting to turn aside from the faith the proconsul of the island, Sergius Paulus (Acts 13:7-8). Saul accused the false prophet of being filled with deceit and fraud, of being a son of the devil and an enemy of all righteousness (Acts 13:9-10)! Immediately thereafter (2 Pet. 2:1) he observed that, nevertheless, false prophets arose among the people (of Israel), just as also false teachers would arise among them in the Church Age, introducing destructive heresies, denying Christ who bought them, and bringing swift judgment upon themselves. Unfortunately many will follow their seductive and exploitative heresies (2 Pet. 2:2-3). The Apostle John warned his readers, "Beloved, do not believe every spirit, but test the spirits to see whether they are from God, because many false prophets have gone out into the world (1 John 4:1). Then he gave the means by which Christians can "test the spirits" (1 John 4:2-6). The criteria were twofold: (1) Prophets had to agree that Jesus is the Messiah, and that He had already come in his human body (1 John 4:2). (2) The prophets had to listen to and subscribe to the teaching of the Apostles (1 John 4:6). During the Tribulation period the ultimate false messiah will arise. John referred to him as "the antichrist" (1 John 4:3) and as "a beast coming up out of the sea" (Rev. 13:1). He would be assisted by "another beast coming up out of the earth" (Rev. 13:11). Elsewhere in Revelation this second beast was identified as "the false prophet" (Rev. 16:13; 19:20; 20:10). In summary, there will be many false prophets that arise throughout the Church Age. Even more will arise during the Tribulation. Christians are not to be gullible and believe someone just because he claims to be a genuine prophet. They are to test him. Is his Christology accurate? Does he admit that Jesus is the Messiah and that He has already come to the earth once in bodily form? Furthermore, they are to test the "prophet's" adherence to apostolic doctrine. Does he agree with and practice apostolic doctrine? Or does he gradually add things that are not to be found in New Testament Scripture, or countermand truths are found there? What have we learned about prophets from the words used about them in the Old and New Testaments? (1) A prophet is someone to whom God speaks, and who then speaks to men on behalf of God. This can be said about Abraham (Gen. 20:7), about Moses (Num. 12:6-8; Deut. 18:15, 18; 34:10), about Samuel (1 Sam. 9:19), about Ezekiel (Ezek. 2:5), about Jeremiah (Jer. 1:5), about Habakkuk (Hab. 1:1; 3:1) about Zechariah (Zech. 1:1) about Jesus (Matt. 21:11), about John (Matt. 21:26); about the apostles (Eph. 2:20; 3:5), about Agabus (Acts 21:10-11), and about the two witnesses (Rev. 11:3, 10), to name a few. (2) A Biblical prophet is called by God, not man to be a prophet. This was true in the Old Testament (Exod. 3:1-20; Jer. 1:4-5; Ezek. 2:1-7; Hos. 1:1; Joel 1:1; Jonah 1:1-2; Micah 1:1; Zeph. 1:1; Mal. 1:1). It is also true in the New (Luke 1:5-10; Matt. 11:7-9; 1 Cor. 12:4-11, 28-30; Eph. 4:11; Rev. 11:3-6). (3) There have always been those who have claimed authority as prophets but are not Biblical prophets because God did not send them. Early in Israel's history as a covenant nation, Moses contemplated and warned about the potential of prophets who were not true prophets (Deut. 18:20-22). The prophets of Baal far outnumbered Elijah and the prophets of God in ancient Samaria (1 Kings 18:19-20, 22, 25, 40; 2 Kings 10:19; Jer. 2:8; 23:13). Jeremiah railed against false prophets (Jer. 5:13, 31; 14:13-15; 23:16, 21, 25, 26, 30-31; 27:9, 14, 15, 16; 28:15-17; 37:19). God warned Ezekiel about prophets who prophesy falsely from their own imagination and from visions not sent by God (Ezek. 13:2-4, 9, 16; 22:28). Post-exilic Nehemiah encountered a false prophetess and false prophets (Neh. 6:14). Jesus anticipated those who would prophesy in His name, cast out demons, and perform many miracles, yet would be unknown by Him and would be barred from the kingdom of the heavens (Matt. 7:21-23). Paul contemplated someone who might consider himself to be a prophet who might not recognize Paul's own authority from the Lord Jesus (1 Cor. 14:37). (4) To claim falsely to be a Biblical prophet when one is not is to be worthy of death. Through Moses Yahweh warned Israel about the possibility of a prophet speaking presumptuously in His name words that God had not commanded him to speak, or who speaks in the name of other gods. A false prophet earned the death penalty (Deut. 18:20). Of course, we today do not live under a theocracy, and it is unlawful for us to take matters into our own hands. But that is what God thinks of presumptuous, and thus, false prophets. Someone who claims he is speaking as a prophet of God but whom God has not sent is standing on shaky ground. He deserves to die! For many years in my ministry I have made it clear that I consider myself to be a Biblical teacher, but NOT a Biblical prophet. I do not hear messages from God and pass them on to others. I read messages from God indirectly, through the Bible. I believe the Holy Spirit aids me in formulating principles from those Biblical texts and passing them on to others in my messages. I am a Bible teacher, not a Biblical prophet. Whether I am a good or successful teacher is not mine to judge. Others must arrive at that conclusion. I abhor the thought of anyone, whether it be me or someone else, claiming to be speaking on God's behalf as a prophet when, in fact, God has not spoken to them. To claim to be receiving messages from God when one is not is diabolical. If people claim God is speaking through them when He is not, all trust is broken down. Biblical prophets have a zero margin for error. Biblical prophets are always trustworthy. Presumptuous prophets are never trustworthy. Authenticity is of paramount importance because credibility is at stake. (5) We do not accept that someone is a Biblical prophet merely because he claims to be. I am well aware that there are people today within Christendom who claim to be prophets. They believe the gift of prophecy is an ongoing gift throughout the Church Age. For reasons which I am attempting to explain in this article, I remain cynical on that point. I am, candidly, unconvinced. In fact, I don't believe them. I believe that they are presumptuously speaking on God's behalf when God has not sent them. But that is not really my point here. My point is that, just because someone claims to be a prophet, he has not earned the right to be believed. Other factors must enter in. Paul spoke of the spiritual gift of "distinguishing of spirits" (1 Cor. 12:10). John forbade us to believe every spirit (1 John 4:1). Why is that necessary? It is necessary because, as John pointed out, "many false prophets have gone out into the world" (1 John 4:1). Gullibility is not a virtue in the church. We ought always to have our antennae up when someone claims to be speaking on God's behalf. That is true regardless of whether he claims to be a prophet or a teacher. Satan is the master liar. Deceit is his favorite and most formidable tool. Satan is a liar, and he is the father of lies (John 8:44). He masquerades as an angel of light (2 Cor. 11:14). So it should be no surprise to us in the Church that Satan's human and demon servants disguise themselves as servants of righteousness (2 Cor. 11:15)! We have already learned that there will be many false prophets that arise throughout the Church Age. Even more will arise during the Tribulation. Let me repeat myself: Christians are not to be gullible and believe someone just because he claims to be a genuine prophet. They are to test him. Is his Christology accurate? Does he admit that Jesus is the Messiah and that He has already come to the earth once in bodily form? Furthermore, they are to test the "prophet's" adherence to apostolic doctrine. Does he agree with and practice apostolic doctrine? Or does he gradually add things that are not to be found in New Testament Scripture? (6) Biblical prophets, at least at times, predicted the future. This was a means of testing whether the person was really a prophet or not. Anyone can claim to be speaking on God's behalf. How are we to know whether he is speaking the truth or not? Relatively early in the life of the nation of Israel, Moses himself raised that question: "You may say in your heart, 'How will we know the word which the LORD has not spoken?' (Deut. 18:21). His answer? "When a prophet speaks in the name of the LORD, if the thing does not come about or come true, that is the thing which the LORD has not spoken. The prophet has spoken presumptuously; you shall not be afraid of him" (Deut. 18:22). There are examples of this in Scripture: A man of God from Judah came to Bethel by the word of the LORD. He prophesied against the altar that King Jeroboam was using to burn incense (2 Kings 13:1). He predicted that an as yet unborn descendant of David named Josiah would one day defile Jeroboam's altar by burning human bones upon it (2 Kings 13:2). This was a remote prophecy. Then he uttered a sign that the LORD had given him by which the remote prophecy could be known to be true. This was a near prophecy. That sign was that Jeroboam's altar would split apart and the ashes upon it would poured out upon the ground (2 Kings 13:3). Jeroboam was enraged and screamed out that the offending prophet should be arrested (2 Kings 13:4). Immediately Jeroboam's outstretched hand withered, and he could not withdraw it. The altar split apart and the ashes were poured out upon the ground, just as the prophet had predicted (2 Kings 13:5). That fulfilled near sign was a guarantee that the remote prophecy would also be fulfilled, as indeed it was (2 Kings 23:15, 16). There are many examples in the NT of fulfilled prophecy. Matthew, perhaps more than any other gospel writer, sought to inform his readers repeatedly that what happened in the life of Jesus was a fulfillment of OT prophecy: (Matt. 1:22; 2:5, 15, 17, 23; 3:3; 4:14; 8:17; 12:17, 39; 13:35; 21:4; 26:56; 27:9). Luke, as part of his historical narrative, spoke of prophets traveling from Jerusalem to Antioch. One of them, Agabus, predicted that a famine would sweep over the inhabited earth (meaning the Roman Empire). Luke was quick to add that this took place under the rule of Emperor Claudius (Acts 11:27-28). So if you come to me and tell me you are a prophet, I will reply to you, "Prove it!" What prophecies have you given that have been fulfilled in your lifetime?" If he offers any, I will ask him for some individuals who can corroborate his story. Again, anyone can claim to be speaking as a prophet on God's behalf. Document your claims. If you cannot do that, I won't believe that you are a Biblical prophet. (7) Historically, some, but not all, of Biblical prophets have had some of their prophecies incorporated into Scripture. Not all Biblical prophets have recorded their prophecies. We have no record that Abraham or Elisha or Elijah or John the Baptist or a host of other Biblical prophets wrote anything down. Events about their lives have been recorded by someone else. But a great number of prophets wrote down at least portions of their prophecies, and these prophecies have been preserved even for us in the era of the NT Church. Prophets like Moses, David, Solomon, Asaph, Ezra, Nehemiah, Isaiah, Jeremiah, Ezekiel, Daniel, Hosea, Joel, Amos, Obadiah, Jonah, Micah, Habakkuk, Zephaniah, Haggai, Zechariah, and Malachi all wrote prophecies that have been incorporated into Scripture. In the New Testament, Matthew, Mark, Luke, John, Paul, James, Peter, and Jude were all prophets, some of whose writings have been recorded in Scripture. A precedent has been set. If Biblical prophets have existed down through the centuries from the time of the early church onward, there ought to be a record of their prophecies that have been added to Scripture. Is there a Terminus for NT Prophets? In 1 Corinthians 12-14 the Apostle Paul gave us the most extensive discussion in the entire NT on the subject of spiritual gifts. In chapter 12 he discussed the danger, the distribution, the diversity, and the relative importance of various gifts. More specifically, (1) Paul warned his readers to distinguish between true and false utterances (1 Cor. 12:1-3). (2) He stated that the Holy Spirit distributes varieties of gifts to believers as He chooses (1 Cor. 12:4-11). (3) He discussed the diversity and interdependence of the members of Christ's body (1 Cor. 12:12-26). (4) He delineated the relative importance and distribution of certain gifts (1 Cor. 12:27-31). In 1 Corinthians 13, known popularly as "The Love Chapter," Paul actually was making a theological point about spiritual gifts. It was this: Love is more important than even revelational gifts (such as tongues and prophecy). It is eternal, while they are temporary. In 1 Corinthians 14:1-25 Paul proclaimed the superiority of the gift of prophecy over the gift of "tongues." This was true, Paul stated, because (1) Prophecy builds up the church, whereas "tongues" does not (1 Cor. 14:1-19); and because (2) "Tongues" represents a childish (immature) "sign-for-judgment" emphasis -- and is thus inappropriate for instruction or evangelism (1 Cor. 14:20-25). In 1 Corinthians 14:26-36 Paul issued rules for verbal utterances in church. These rules had to do (1) with "tongues" and prophecy (1 Cor. 14:26-33) and (2) with women (1 Cor. 14:34-35). Finally, Paul listed the responses he expected in light of his teaching (1 Cor. 14:36-40). These responses revolved around (1) obedience (1 Cor. 14:36-38); (2) prioritization (1 Cor. 14:39); and (3) orderliness (1 Cor. 14:40). For the purposes of our discussion today, we need to focus our attention on Paul's specific statements in 1 Corinthians 13. There he indicated that love was superior to revelational gifts inasmuch as they are temporary while love is eternal. Let us examine several of Paul's statements. His first point is that "The love never at any time fails" (1 Cor. 13:8, author's literal translation). There is never a time when love is inappropriate for a Christian to exhibit. That is always true, both in the present age and throughout eternity. His second point is this: "but whether there are prophecies, they shall be rendered inoperative" (1 Cor. 13:8, author's literal translation). The word "prophecies" is the plural of the noun prophêteia (4394). The verb "they shall be rendered inoperative" is the plural future indicative passive third person of the verb katargeō (2673). The NASB Dictionary defines this word, in the active sense, as meaning "to render inoperative, abolish." The Friberg Analytical Lexicon of the New Testament (Friberg) defines the verb this way: "from the basic sense cause to be idle or useless, the term always denotes a nonphysical destruction by means of a superior force coming in to replace the force previously in effect, as, e.g. light destroys darkness." The verb appears in the future tense as well as the passive voice. This means that Paul predicted some force superior to prophecies would come in to replace the force of prophecies at some undesignated time in the future. The inferior force would be acted upon by the superior force. What is that superior force and when will it (or did it?) replace the force of prophecies? I am going to argue that the superior force is the completed canon of Scripture, and that the completed New Testament is a superior force that replaced the inferior, temporary force of prophecies. But I have not proven that yet, so hear me out. Paul continued on in 1 Cor. 13:8, "Whether there be tongues (languages), they shall cease of their own accord" (author's literal translation). What he meant was that, while some force outside of and superior to prophecies would render them inoperative, the gift of tongues (languages) would, in the future, cease of its own accord (the meaning of the middle voice of pauō, 3973). What does this mean? It means that, while something, i.e., the completed New Testament Scriptures, would come along to replace prophecies, nothing would need to replace the gift of speaking in foreign languages one has not learned. That is because the Biblical gift of tongues would simply die out on its own. But Paul has not finished. He continued, "If there be knowledge, it will be rendered inoperative" (1 Cor. 13:8, author's translation). The word "rendered inoperative" is the same word that Paul used in regard to knowledge is the same word that he used with regard to prophecies (katargeō, 2673), except that here he used the singular ("knowledge") whereas before he had used the plural ("prophecies"). Obviously, Paul has in mind, not ordinary human knowledge, but rather revealed, supernatural knowledge. In other words, here, "knowledge" is virtually synonymous with "prophecies" in the context. Paul combines the two elements of "prophecy" and "knowledge" in the next verse (1 Cor. 13:9): "For out of partness (i.e. incompleteness) (meros, 3313) we know; and out of partness (i.e. incompleteness) (meros, 3313) we prophesy" (author's translation). Paul continued on, "Whenever may come that which is complete, that which is out of partness (i.e. incompleteness), will be rendered inoperative" (1 Cor. 13:10, author's translation). What did Paul mean? He meant that when the completed canon of Scripture arrived, it would render inoperative revelatory knowledge and the gift of prophecy. And that is exactly what has happened. With the completion of the New Testament canon of Scripture, there has been no need for the incomplete, piecemeal prophecies and revelatory knowledge that were an indispensable part of the early Church, which did not yet have access to all the NT Scriptures. Since John's final prophetic writing, the Book of Revelation, there has been no need for Biblical prophets. Nor have there been any Biblical prophets. Undoubtedly there are many who have thought, down through the Church Age, that they had the gift of prophecy, but the evidence is lacking. None of their prophecies have been incorporated into Scripture. I vote for Scripture and against the enterprising prophets who, I suspect, have been prophesying out of their own imagination statements that God has authorized them to speak. At best they are misguided teachers, not true, Biblical prophets, at least in my opinion. But Paul had not yet completed his analysis of the temporary, incomplete nature of Biblical revelatory knowledge and prophecy. He continued, "When I was a toddler (the word is nêpios, 3516, which, strictly speaking, means an infant, but is typically translated "child" in many versions. I have chosen "toddler" because we expect toddlers to have a limited vocabulary, and one rarely spoken correctly according to adult standards), I was speaking as a toddler, I was thinking as a toddler, I was reasoning as a toddler. When I became a man, I rendered inoperative (katargeō, 2673) the things that were toddlerish" (1 Cor. 13:11, author's translation). Paul was inferring that the gift of prophecy and revelatory knowledge were part of the "toddler" stage of the early Church. In Paul's day, of course, the gift of prophecy and revelatory knowledge, along with the gift of speaking in unlearned languages foreign to oneself were part and parcel of the infantile or toddler stage of the Church. But, frankly, he was warning these Corinthians, who were apparently obsessed with the gift of speaking in tongues, that these gifts were coming to a conclusion. The completed canon of Scripture would put an end to the gift of prophecy and revelatory knowledge. That would not be necessary with speaking in tongues. The Biblical gift would die out on its own. Some have objected to my interpretation by appealing to 1 Corinthians 13:12. There, Paul stated, "For at the present time we see through a mirror enigmatically, but then, face to face. At the present time we know out of partness (i.e. incompleteness) (meros, 3313), but then we will know fully, as also we will be fully known." Aha!" they say. "Paul was talking about the completeness that comes when we see Jesus face to face." That is true. Paul was here referring to that moment as the ultimate in completeness. But that does not negate his statement in 1 Cor. 13:10, that "Whenever may come that which is complete, that which is out of partness (i.e. incompleteness), will be rendered inoperative." The end of the canon of Scripture, at least for now, has arrived. It has rendered the gift of prophesy obsolete. So obsolete, in fact that no Scripture has been added to the canon for 1800 years. Tongues have ceased of their own accord. Paul concluded, "But now remain faith, hope, love, these three. Moreover, the greater of these is love" (1 Cor. 12:13, author's translation). Even as Paul conceded that ,in his day, the gifts of prophecy and speaking in tongues remained, he argued that they were temporary, and that faith, hope, and love, were not -- they were eternal. So no matter what we think about the permanence of the temporary nature of these revelatory gifts, let us not lose our faith, nor our hope, and certainly not our love. Paul continued, in 1 Cor. 14:1-40, to argue that the church at Corinth should get over its obsession with the gift of speaking in tongues (languages), and should give the proper attention to the gift of prophecy, which was of more value than speaking in tongues (languages). Perhaps the most formidable buttressing of my argument is this. Ever since the Apostle John completed his book of Revelation about A.D. 96, there have been no Scriptures added to the New Testament. (Roman Catholics will argue with me, but I think my conclusion is justified. If you wish to investigate that whole topic, see my essay on "The Roman Catholic Church and the Bible".) Historically, where there have been Biblical prophets, some of their verbal utterances have been incorporated into Scripture. That has been true from the time of the writing of Job and the Pentateuch in the OT to the writing of the Gospels, History, Letters, and the Revelation of and about Jesus Christ in the NT. And yet we find that no new Scripture has been added to the Bible for over 1800 years! This is absolutely unprecedented if we still have prophets today! We have numerous examples (27, to be exact) of New Testament prophets having their utterances written down and incorporated into Scripture. Suddenly, with the death of the Apostle John, the spigot has been turned off! Why? There has been an unprecedented non-writing of Scripture for 1800 years if we still have Biblical prophets today. Why has there been no Scripture added? To me the answer is simple. What Paul predicted has happened. The superior force of the Written Word of God has replaced the inferior force of the spoken Word of God. In short, I believe we have had no Scripture added to the New Testament for 1800 years precisely because there have been no Biblical prophets for 1800 years, continuing to the present day. 1 Then the word of the LORD came to me saying, 2 "Son of man, prophesy against the prophets of Israel who prophesy, and say to those who prophesy from their own inspiration, 'Listen to the word of the LORD! 3 ~'Thus says the Lord GOD, "Woe to the foolish prophets who are following their own spirit and have seen nothing. About 35 years ago, I once attended a church in a medium-sized Midwestern town. It was a church whose parishioners practiced speaking in tongues and in which someone uttered a "prophecy." I was not brought up in that kind of church background, and I had never attended one of those churches. I attended on a Sunday evening. One thing I noticed was that there were people ostensibly "speaking in tongues" during the service. Personally I doubt the validity of what they were doing, but that is another issue for another article. What I did notice was that, even granting for a moment the validity of their "tongues-speaking," they were breaking the rules that Paul laid down in 1 Corinthians 14:27-28. There were many people "speaking in tongues" at the same time, and none of it was being translated into English. That rule-breaking did nothing to engender my confidence in the validity of their utterances. At one point in the service, someone somewhere spoke in a loud voice. He spoke in English. He was not reading Scripture. I presume he believed he was a prophet giving us a prophecy. I doubt, however, that he was a genuine prophet. Do you wish to know what buttressed my skepticism? It is because he was speaking in 350-year old English! In other words, He was using King James English. Why God would find it necessary to reveal truth to an audience in an anachronistic, 350-year old dialect is beyond my threshold of gullibility. For me, the speaker's use of King James English to prove he was giving a genuine prophecy had the exact opposite effect. It all sounded contrived to me. I don't think for a second that he was a Biblical prophet giving a Biblical prophecy. No doubt he was convinced he was a genuine prophet. No doubt the people of that church thought he was a genuine prophet. But decades later, I remain unconvinced. I'm afraid he was like those prophets whom Ezekiel indicted -- they were prophesying "from their own inspiration," "following their own spirit." In actuality, "they have seen nothing." It is certainly possible I am wrong about this. But I fear I am not. One final thought. Assuming that I am correct, and that there are no Biblical prophets today, will the gift of prophecy ever resume? If we read the book of Revelation correctly, the answer to that question is a resounding "YES"! During the Great Tribulation period, God will authorize his two witnesses to prophesy for 1260 days, clothed in sackcloth (Rev. 11:3). They will evidently situate themselves in or near the rebuilt Israeli temple in Jerusalem (Rev. 11:1-2, 8). These witnesses were further identified as "the two olive trees and the two lampstands that stand before the Lord of the earth" (Rev. 11:4), an apparent reference to the fulfillment of the vision which Zechariah witnessed (Zech. 4:11-14). To these two witnesses will be granted power akin to that of Moses, Elijah, and Elisha. They will have the ability to consume their enemies with fire which will spew from their mouths (Rev. 11:5). They will have authority to decree drought in various places during the days of their prophecies (Rev. 11:6). They will have authority over the water supply of the earth to turn fresh water and perhaps sea water into blood, and to strike the earth with every manner of plague as often as they wish. More could be said, but my point is this. When the Church age has ended and the Tribulation begins, God will once again work with Israel as a nation on His prophetic time clock. As the "Time of the Gentiles" hurtles to a dismal conclusion, God will once again revive the gift of prophecy. And these prophets will have irrefutable credentials (miraculous signs) by which to authenticate themselves as genuine prophets. Will the canon of Scripture be reopened? Will any of their utterances be incorporated into the New New Testament? We cannot know, but frankly, it would not surprise me. It certainly will not surprise me, when Jesus comes to earth to rule from Mount Zion, and all the nations who have survived the Tribulation period come to Jerusalem to hear the King's teaching (Isa. 2:1-4), if the canon of Scripture were to be reopened. Can you imagine the Messianic King speaking from Mt. Zion for a thousand years (Rev. 20:4, 6) and none of His speeches being incorporated into Scripture? I cannot. But as with many interpretations, time will tell. Is there a possibility I am wrong in believing that the gift of prophecy has, at least for the moment, ceased? Yes, of course there is. My writings, unlike Scripture, are not inspired. They are not God-breathed. If I am wrong, I will be held accountable at the Judgment Seat of Christ, for not having recognized the authority of any modern day prophets. Moreover, if I am wrong, prophets do exist today. But we still need to discern the difference between genuine Biblical prophets and pseudo-prophets. I am confident that, in any case, pseuoo-prophets exist today. I am skeptical, and, indeed, cynical, that Biblical prophets exist today. But, supposing I am wrong on the latter point. If Biblical prophets exist today, then that which they utter as prophets is just as authoritative as Scripture, and that which they utter as prophets is equal to Scripture, whether it is written down or not. And all of us who disobey what these prophets say, if they are Biblical prophets, will be held just as accountable for disobeying and ignoring them as we will be held accountable for disobeying and ignoring Scripture. If there are still Biblical prophets today, then what they say as prophets is just as authoritative as what Biblical apostles say today as prophets, for both are prophets. And I would expect that something they say sometime, somewhere, since it is just as authoritative as Scripture, will be added to the canon of Scripture. I say that because that is what happened to some prophecies of some Biblical prophets. But of course, nothing has been added to the canon of Scripture for 1800 years. Based on church history, I don't anticipate that changing any time soon. And therefore I do not believe I hold to an unbiblical, untrue position. I do not believe I am wrong. And I am willing to state my case with humility, and to let my case stand before the Judgment Seat of Christ, at which each one of us Christians in the Church Age must be evaluated, not for salvation, but for faithfulness. I take this position with love for my deluded (my description) brothers who believe there are Biblical prophets today. But I suspect some, at least, of those who claim to be Biblical prophets, are not even Christians in the first place. The Bible has some dire warnings about the character and destiny of false prophets. I write this article because I believe I have the gift of teaching (Acts 13:1; Rom. 12:7; 1 Cor. 12:28, 29; 14:26; Eph. 4:11; 1 Pet. 4:10, 11). It is my duty to teach as many in the Church as I can what I believe to be the correct, Biblical position on prophecy. My position is that the completion of the canon of Scripture for 1800 years assures us there have been no Biblical prophets for 1800 years. Along with our brother in Christ Jude, "I felt the necessity to write to you appealing that you contend earnestly for the faith which was once for all handed down to the saints" (Jude 1:3).